Oh, I loved these! 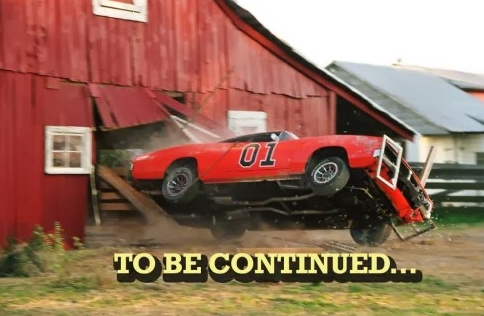 And, the cliffhanger from one season to the next and you had to wait! They don't happen too much anymore. I supposed you consider it with a Netflix series that you have to wait a year for. But, even within the Netflix series, you have to wait what - 10 seconds before it advances to the next. As the year is winding down, I find myself creating these "to be continued..." moments in my Accelerated Algebra 1 class. I teach both Acc Alg 1 and Acc Alg 2, so I know what they will need. In Algebra 1, we just finished a unit on radicals and rationals. I kept telling them they will use a lot of radicals next year in Geometry. I started a mix for this last unit - functions and stats. For the functions, we are doing two days on operations with functions including compositions. 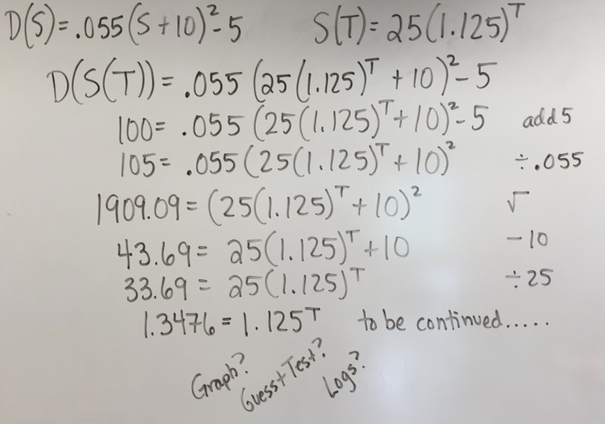 We did an application for braking distance in a car that included a quadratic equation and an exponential equation. I asked them what type of equation each was and was so happy when they identified the exponential correctly, yeah! We plugged the exponential into the quadratic equation. We were then given the distance and were asked to figure out the time (the exponent). They moaned and groaned. I told them it was like Shrek who was like an onion, peel away the layers. They peeled away the algebra layers until they got to a simple unknown exponential equation. They said I should just call it the onion problem. This is my favorite problem of the year in Algebra I. One student recognized why "because it pulls it all together". Yes! They worked all the way through it step by step until it revealed a simple exponential equation but they did not know how to "undo" it. I said this was where the "to be continued..." part came in. We know we can use subtraction to undo addition and division to undo multiplication, but what can undo an exponent. I was so proud when they said "to the T root" - yeah another connection from earlier this year! I revealed the word logarithms. I told them we would get to learn about them in Algebra 2 in two years and they would be helpful for figuring out unknown exponentials. One student said, "can we just throw out the rest of the stuff you were going to teach us and learn logs." Oh my friend, I wish, but not quite. I didn't let them off the hook though, we did need to solve the problem. They started plugging into their calculator and started guessing and testing. 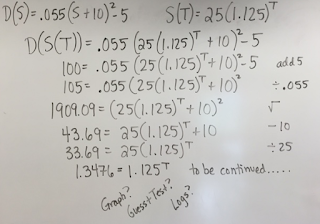 If I had more time in class, I would have had them take out the computers and graph on desmos, but I wanted to pull it all together. They figured it was between 2 and 3 and did narrow it down to 2.53 seconds.